Should Celtic beat Hearts to win the Scottish Cup on May 25 there will be no bus parade to Celtic Park after the match. Last year thousands turned out to welcome back the Double Treble winners after they had beaten Motherwell in the final of the Scottish Cup but this year Celtic Park will be hosting the final of the Guinness Pro 14. Sixty thousand ‘egg chasers’ will be inside the ground with the areas around the stadium out of bounds for football fans. Should they beat the Jambos on May 25, there will be no Celtic Park celebrations, with the 60,000 seater arena due to host the Guinness Pro14 Final on the same day. Assuming there’s no extra-time or penalties, the Hampden show-piece final will finish at around 5pm. But Parkhead will be packed with rugby fans at the same time with the Guinness Pro14 Final set to kick-off at 6:30pm. The double Treble bus parade was a one off with Glasgow fans denied the sort of celebrations that are a big part of any trophy success for club’s from outside of Scotland’s biggest city. Celtic fans will be more concerned with getting their hands on tickets for the Hampden clash with thousands who attended the semi-final certain to be left out. There were 32,000 fans cheering on Neil Lennon’s side but Celtic are likely to be given a final allocation of around 23,000, the same as Hearts, with sponsors and others expecting their cut for the National Stadium. Celtic’s final home match of the season will be on May 19 at home to Hearts in the SPFL with the hoops requiring four more points to ensure that that match is a presentation day. 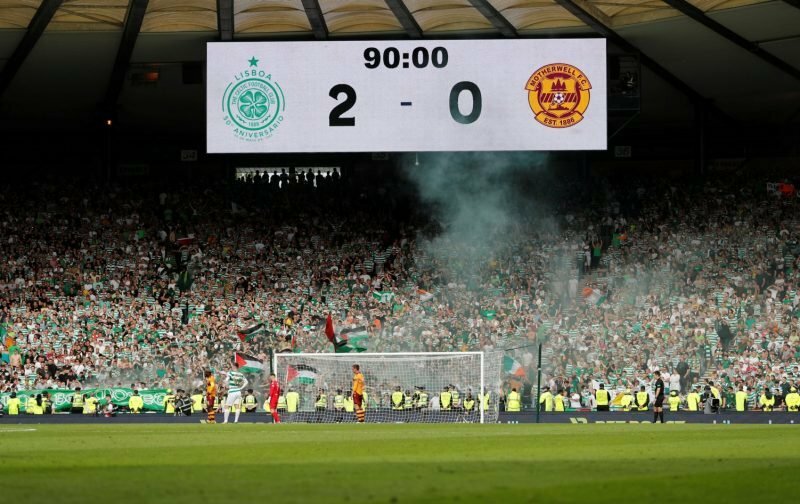 All arrangements for last season’s parade made it clear that it would only go ahead if Celtic overcame Motherwell with clubs wary of any plans becoming public. If Hearts win the trophy next month there will be a parade from Gorgie to Princes Street.